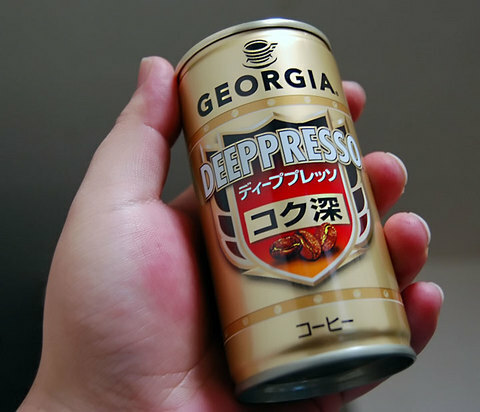 The newest canned coffee offering from Georgia. Although the spelling reminds me more of Mississippi. I’m almost scared to try it without a solid network of friends and a handful of Paxil. I saw a rather large ad for this in the japanese newspaper some kit kats I had shipped to me were wrapped in. I could hardly believe they called it Deeppresso! Although, to be fair, I was also kind of shocked to see in the sports section that the japanese still love sumo wrestling. Who knew?